Welcome to the Parent Teacher Association of IES Lund! 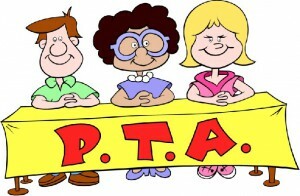 All parents and guardians are automatically members of the PTA. There is no membership fee. The PTA is governed by a board which is nominated by a Nomination Committee and then elected by the parents once per year at the Annual General Meeting. Each class has two class representatives. The representatives are elected by class parents during the first class meeting of the academic year. The PTA Board meets regularly with the Class Representatives and school management to discuss and decide upon different initiatives which parents and teachers would like to engage in. The meeting schedule is published on SchoolSoft and meeting minutes are also published on SchoolSoft in Swedish. Class Representatives gather suggestions and questions from class parents prior to the meetings so that they can be addressed at the meetings. The PTA vision is to enable and support a community of parents and teachers working together, taking pride in their school to provide the best experience for students and ensure that the Internationella Engelska Skolan in Lund is perceived as the most attractive school in the region. As the PTA has no membership fees, the PTA conducts fund raising to provide a foundation to support extracurricular activities for students, parents and teachers alike. The PTA scholarship supports initiatives such as funding for class team building activities which are not part of the national curriculum and guest lectures for parents and students. The PTA works on behalf of all parents and teachers and we look forward to building up the “IES Lund Spirit” together!